Hardtail MTB Ordea MX 10. 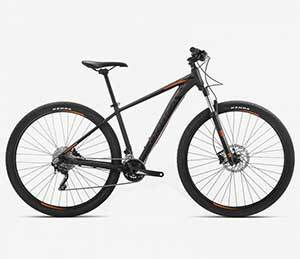 Specifications: Aluminium frame - Shimano XT/ Deore 10-Speed groupset -Suspension Fork Rock Shox 30 Silver TK 100 Air Remote QR- Shimano BR-M395 180/160mm disc brakes. Size 15 inch comes with 27,5 wheels.